I specialize in real estate representing my clients for the purchase or sales of single-family residences, land and income property within Gold Beach, Ophir, Nesika Beach, Pistol River, Agness, Brookings, Port Orford, Langlois, and Harbor. Essentially, all of Curry County, Oregon on the Southern Oregon Coast. "I've always believed you get out of life what you put into it!" says Karl. "Rewards do come from maintaining a good work ethic, taking responsibility seriously and keeping yourself motivated." Karl has come a long way from his birthplace of Chicago, Illinois. As a young man, he sought "greener and warmer pastures"--so-to-speak--and found himself in the east Bay area of San Francisco. While attending college, he met his wonderful wife, Victoria. One summer, early in their marriage, they decided to go camping in state parks along the Oregon Coast. After spending some time in the Gold Beach area, they could not get the place out of their minds. The couple purchased undeveloped Ocean view real estate and came up to work on it whenever possible. Each visit their Gold Beach, Oregon, land felt more and more right. Having to turn back for the east bay of San Francisco became increasingly difficult. "Coming north to the Southern Oregon Coast, we could feel the tension leave us. The Gold Beach coastal lifestyle, ocean views, fresh air, small town atmosphere and friendliness wrapped around us like a comfortable blanket. Returning south, the stress and traffic became unbearable," recalls Karl. The decision was made to take the risk, pull up stakes and live the dream in the Gold Beach, Oregon, Southern Coast community. Karl and Victoria put their work ethics to the test and dug in. 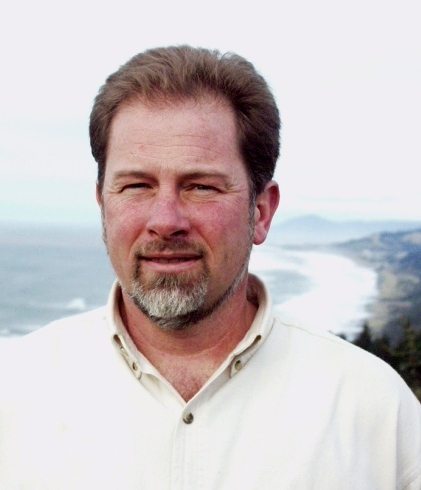 He soon found a fit in real estate helping others share the dream of this Gold Beach community life style. Victoria started a landscaping maintenance business caring for coastal estates. Karl has been with Century 21 since 1996. He quickly proved himself to be an excellent Buyers agent, continually receiving awards at both the local and regional levels. In addition, he's been an active, volunteer member of the Curry County Planning Commission for 12 of those years. This position allows him access to current information that may affect the ever-changing dynamic of the local real estate market in the greater Gold Beach and Brookings area and as well as understanding the complexities of land and ocean front development. The Nettgen's still live on that same Gold Beach Coastal property and have recently celebrated their 34th anniversary. Now empty nesters, they live with their critter-pals: Bailey the dog, and Whisper the cat -- many dreams have come true. Amidst their busy lives, the couple strives to take advantage of the many nearby opportunities to camp, fish and walk on the beach. Victoria always tends to her thriving gardens. "You couldn't drag me away kicking and screaming!" says Karl, grinning from ear to ear. "Gold Beach Oregon is truly the Mayberry RFD of the southern Oregon Coast."